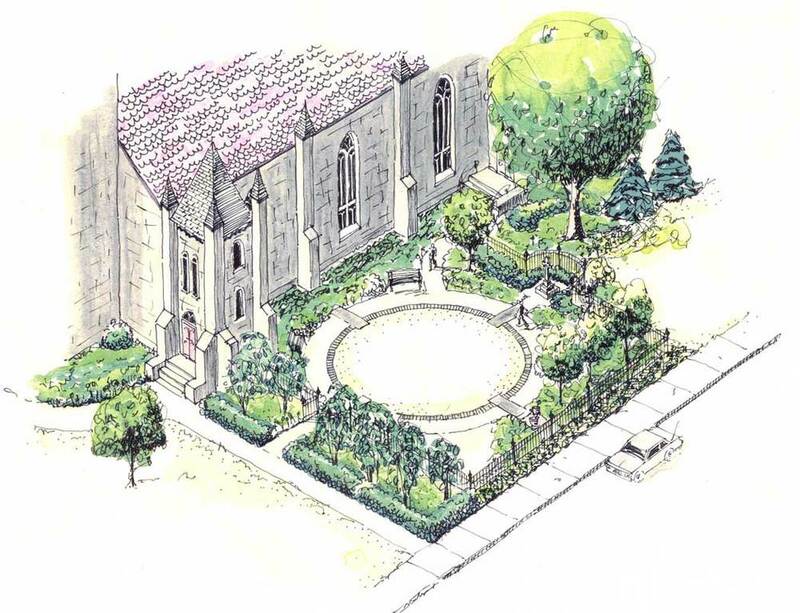 This memorial garden for the Trinity Episcopal Church in Rutland, Vermont was conceived as a contemplative space. 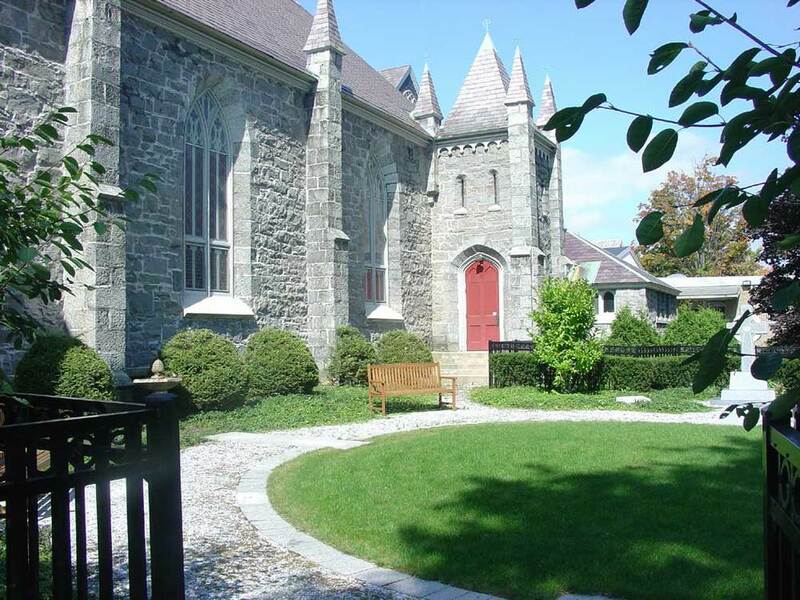 Located on the east side of the grey stone church away from pedestrian circulation routes, it is enclosed by an ornamental steel fences, hedges, and plantings to focus attention inward. 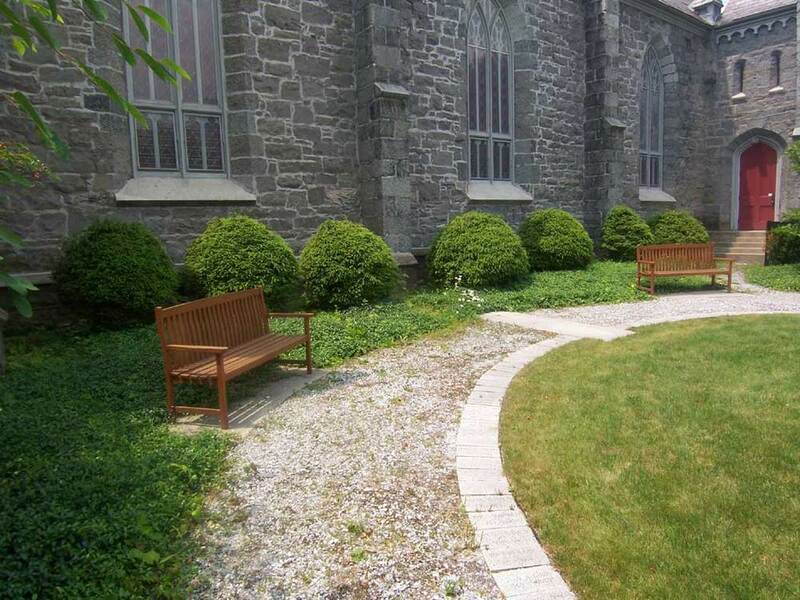 The names of those who have passed away are engraved on the granite stones edging the circular path.